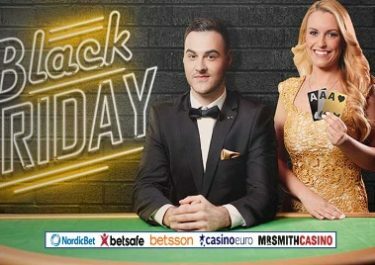 Betsson – Daily Free Spins | Final Week! Enjoy Free or Super Spins, every day in January! This has been an awesome Betsson campaign. Thousands of players were been able so far to enjoy daily and weekend Free Spins, the luckiest ones even Super Spins worth €1.00 each. Heading into the last few days of the campaign, there is still time to win Super Spins in the daily draw or get a guaranteed concession prize of 25 Free Spins. Plus, all eligible players can claim every day of the weekend up to 150 Free Spins on deposit on the latest slot creation from GPlay’n GO, Planet Fortune. Exclusive for players from Finland, Iceland and Norway. Get ready for a month full of Free and Super Spins on some exciting Progressive Jackpot slots. Log-in daily into your Betsson account, then deposit and wager minimum €10 on any game in the casino or Live casino to be entered into the next daily draw where 50 lucky players will be randomly drawn to win 50 Super Spins, worth €1.00 each. Everyone else meeting the daily requirements will receive 25 Free Spins on the Jackpot Game of the Day. The raffles will be held every day, except those for the weekend, which will be held on Monday. Players winning the Super Spins bundles will be notified via Betsson Inbox message. Free and Super Spins will be credited by 18:00 CET on the same day on a selected progressive slot which will be announced as well via Inbox message. Wagering requirements are 25x FS winnings within three days, subject to the Betsson bonus terms and conditions. Exclusive for players from Finland, Iceland, Norway and Sweden. The holidays are over, but the fun is just beginning with weekend Free Spins at Betsson Casino. Until 4th February 2018, players can get up to a whopping 300 free spins every weekend. That’s right, the offer is available on both days of the weekend. There will be three offers to pick from, but only one can be claimed per player. Get started by clicking on OPT-IN under the offer you want every Saturday and Sunday. Then, deposit the right amount to have the Free Spins instantly credited on a different game every week. Wagering requirement is 25x FS winnings within three days, subject to the Betsson bonus terms and conditions. Deposit €25 | €50 | €100 to get 25 | 50 | 150 Free Spins on a selected game. For 27th & 28th January 2018 it is Planet Fortune, the latest action-packed slot creation from Play’n GO.